In addition to serving as Chairman of the Community Health Law Project, in January 2019, Dr. Meyerson was appointed President of the Bergen County Technical Schools District. The Technical School District overseas the County run high schools, including the Bergen County Academies and the Bergen County Technical High Schools. Dr. Meyerson previously served on the Pascack Valley Regional High School District. During his tenure as President, Dr. Meyerson introduced the country’s first “one-to-one” laptop program. 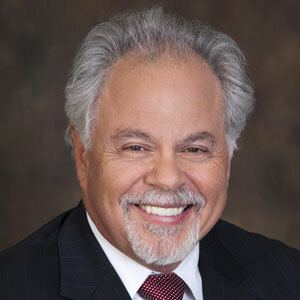 Lawrence Meyerson is a founding Partner of Meyerson Fox Mancinelli & Conte, P.A. and practices elder, guardianship and disability law, trust and estate law and real estate law. The philosophy of Meyerson, Fox, Mancinelli & Conte, P.A. is simple, serve the client by providing the highest quality of legal services. Regardless of your legal matter, we know that you are depending on us for legal assistance and we never forget the important role that we serve. Meyerson, Fox, Mancinelli & Conte, P.A.